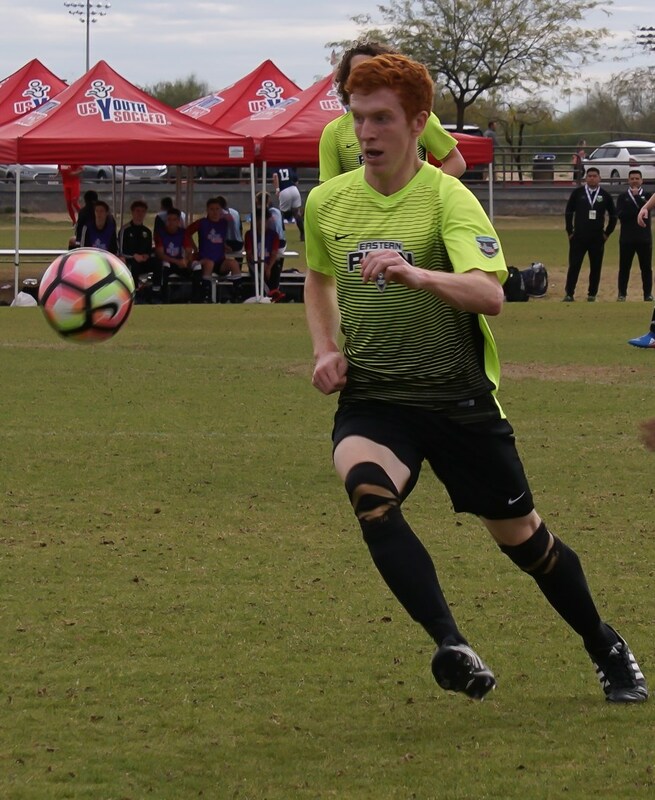 Eastern Pennsylvania U17 Boys ODP coach Tom Dodds noted something different about his team entering the 2017 US Youth Soccer ODP Championships in Phoenix, Arizona. 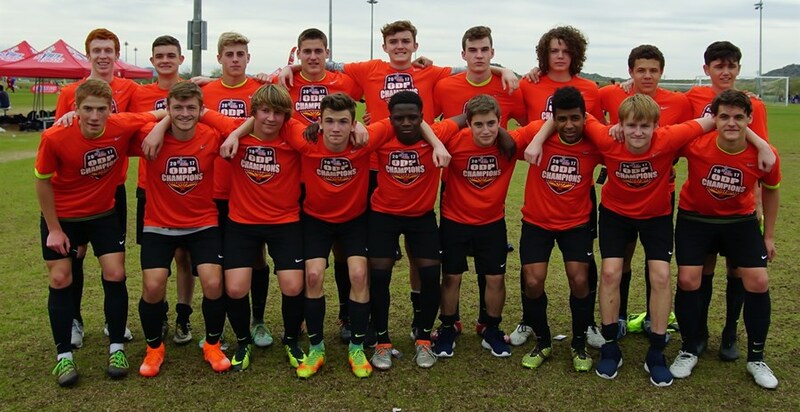 The boys weren’t finishing as well as they had last summer when they won the Region I title to clinch a spot at nationals, which features all four of US Youth Soccer’s regional ODP champions. The scoring touch, however, came back at the right time. 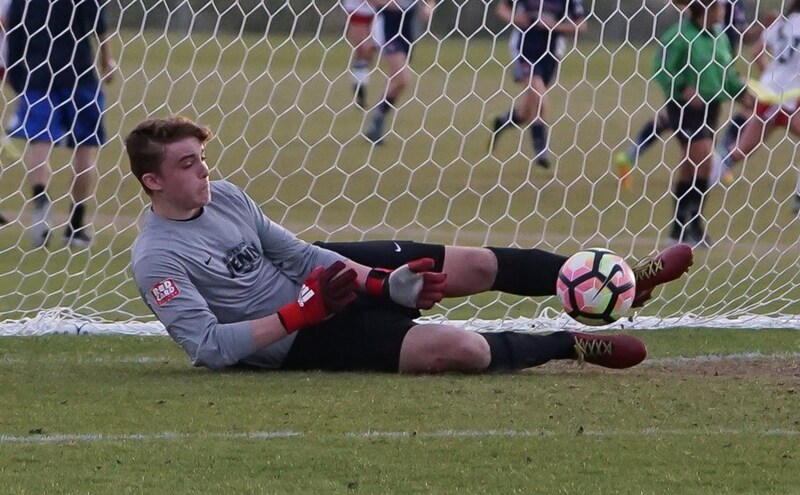 The U17 Boys routed Oregon 7-0 in the final on Sunday, March 5 to win Eastern Pennsylvania’s first ODP Championship in 10 years. Nick Brison, of Kennett Square and Southern Chester County Soccer Association, scored a hat trick to front the attack. The victory capped a fitting end for a team that went undefeated in regional and national play—it kicked off this campaign with an identical 7-0 win back in June. Despite the final result, the cross-country trip was anything but easy. The boys arrived in Phoenix on Thursday with a tough match against Team Georgia scheduled for Friday evening. They had time to practice and get acclimated to the climate and time difference, and yet the late kickoff posed a unique challenge. That may have led to Eastern Pennsylvania’s slow start. Georgia earned not one but two penalties in the opening 45 minutes. But thanks to the heroics of goalkeeper Jacob Varrato, the boys were only down one at half. Varrato stopped both pk’s and was only beaten by a rebound shot on the second. Those saves helped settle the group. Darryl Longdon got the comeback going with a breakaway goal soon after the break. Then Brison was fouled in the box to give the Pennsylvanians a spot kick of their own. Nick O’Donnell of HMMS converted to help send Eastern Pennsylvania to the final, a game that needed no build up, with a 2-1 win. After some early Oregon pressure, Brison put Eastern Pennsylvania ahead five minutes into the game. He collected an Evans’ through ball and smashed a shot by the Oregon keeper. From there, everything went Eastern Pennsylvania’s way. Longdon scored a penalty, while Aaron Tylicki, on as a substitute, buried his first touch of the match. Tylicki then created an own goal when he went crashing into the box on a corner kick—4-0 at half. Still, the 17’s weren’t comfortable just yet. Matt Pron grabbed that crucial fifth goal before Brison completed his hat trick and that remarkable 7-0 score line. That doesn’t mean he couldn’t appreciate his achievement, on an individual or team level. The championship was won in Phoenix, but it was forged throughout the ODP process. The boys used trips to Virginia, regional camps and even the short stay in Arizona to build team camaraderie. It transferred to their play. As a bonus, all 18 players who traveled to Phoenix got on the field thanks to the blowout. Fellow coach Gary Stephenson remarked on the character of the group, which was equal to its performance. This story will appear in the Spring 2017 Issue of Touchline. For information on how to receive a copy please contact Dillon Friday.